‘DADDY WHO IS EMMA OKALA? IT was one night of sweet remembrances, a night of nostalgia that rewound the clock and brought back memories of the soccer stars of a bygone era. Like ghosts from the past they had been fished out from God-knows-where and reassembled under the same roof on this night of sporting awards to our past and present soccer heroes. As the television cameras zero on them, you can recognize old and faded stars like Segun Odegbami, Christian Chukwu, Jossy Dombraye, Ike Sorunmu, Mutiu Adepoju, Garba Lawal, Opabunmi, Wilson Orumah, Austin “Jay Jay” Okocha, Victor Ikpeba, Julius Aghahowa and many others in their twilight years of a game where you age faster than an electric train. To even spot them after so many years in oblivion is in itself news. In journalism, history can become news. Seeing our soccer legends of yesteryear and how they have aged and shrunk like dry bones or dry leaves is pathetically newsworthy. Old age is a robber. It robs of you of all your youthful vitality, good health and good looks. Like a motor car, all the engine parts of your body start giving way, constantly malfunctioning. You no longer can run or kick the ball with the agility of youth. Like a smoking Tokunbo vehicle you keep breaking down and needing support—needing a mechanic, a heart specialist to service your carburetor, a urologist to check your wee-wee, an ophthalmologist to check your weakened and blurry eyes that have seen good and bad times. Life can be cruel. So cruel. 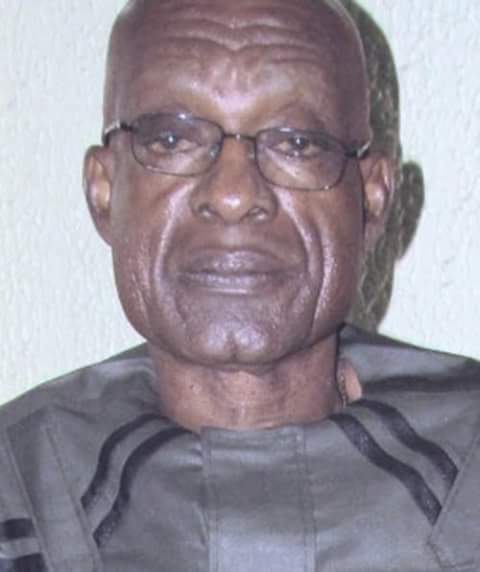 As they called our legendary ex- Super Eagles goalkeeper Emmanuel Okala on stage, I was filled with pity for this giant now turned into a gaunt, feeble, bespectacled old man who must be supported to climb the stage of life now looming like a mountain before him. Ah, Father Time reduces us all into mockery, into a grotesque, caricature of our youthful life. “Ha! You don’t know Okala?” I fired back. For the first time, I saw the gap between father and son. The gap they call “generation gap.” Like the old man I am, I had to sit the poor boy down to lecture him, to tell him moonlight tales about the great exploits of this legend of a bygone time, a Goliath in the goal who came before his time, a safe hand who would readily have filled the vacuum in Nigeria’s World Cup goalkeeper quest. I told him how Okala easily picked balls from the air like a true African Giraffe picking fruits effortlessly from the tallest tree. I told him how in spite of his height, Okala could dive like lightning to parry a ball away from entering his net. I lamented the fact that Emmanuel Okala was one giant goalkeeper who came into the world of soccer at a wrong time. A time when Nigeria football had not gone global. A time when our great footballers were all locals, thought local, acted local, played local and earned local incomes which were peanuts compared to what footballers like John Mikel Obi, Victor Moses and the likes of them earn today. Yes, football indeed is life. In life, you must make hay while the sun shines. In life, you must hedge against the future. In life, you must prepare for your future while young. In life, you must make good investments. So many of us don’t. Footballers in particular. The world is filled with tales of professional footballers who made so much money and thought the money will forever flow, so they lived a life of prodigality. In the end, they ended up a sorry sight. There are footballers who lost their money to gambling. There are footballers who were duped by fraudsters and are today beggars. There are footballers who ended tragically like Rashidi Yekini, the man whose legendary World Cup goal, announced to the world that the Eagles of Nigeria had landed. So sad that Okala didn’t come at a time when there was big money to be made from football. So sad to see the spectacle of old age descending on our ace goalkeeper and all our other soccer heroes such that they walk with difficulty, suffering from rheumatism, old age and all the effects of life after football. All roads lead to Eko Hotel tonight at the Sun Awards where the amiable, hardworking Governor Akinwumi Ambode of Lagos State would be crowned Sun ‘Man Of The Year’. At the same venue last week, the governor told FIFA bosses that “Lagos is ready to host the world” for any FIFA competition, including the World Cup.